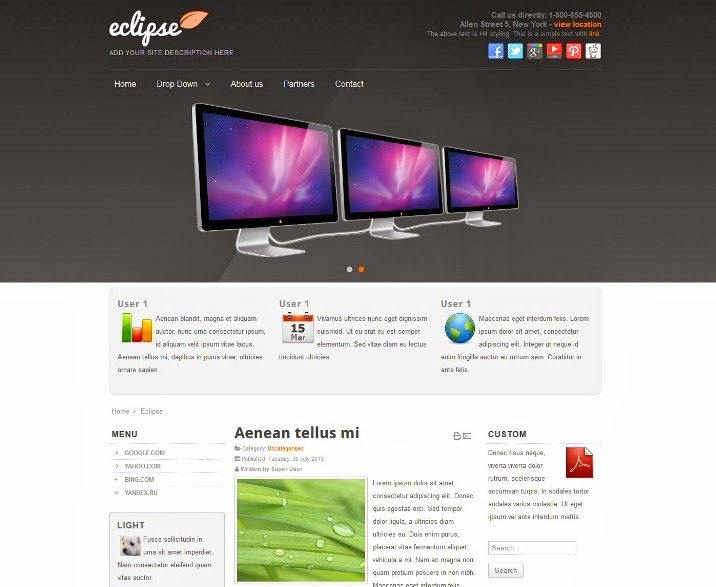 Best Collections of Free Joomla Templates. 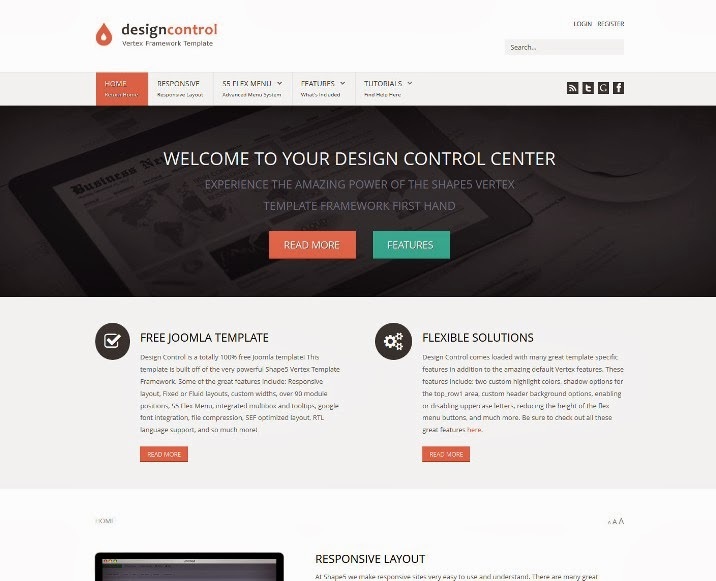 Design Control is a simplistic template that will adapt to a wide variety of websites, and best of all it’s totally free to use! This template is totally responsive, and comes with features such as highlight colors, custom parallax backgrounds, google fonts integration, custom column and row widths, and so much more! 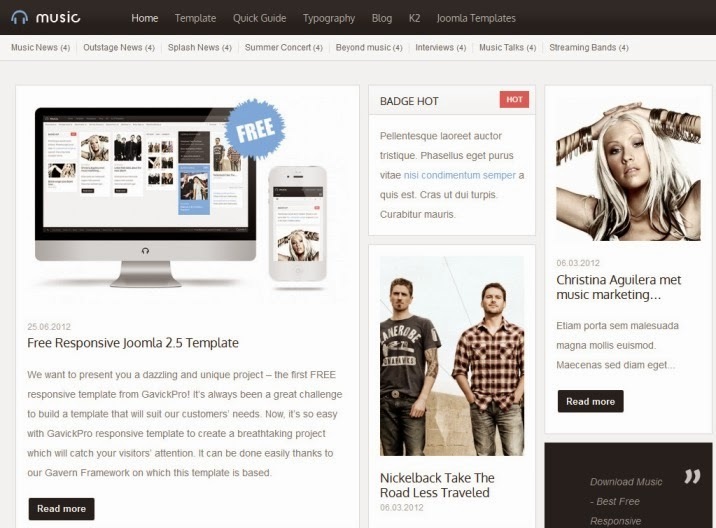 Make your own music website with this responsive free Joomla template. Music Free is also fully-responsive, so if your users prefer to connect with mobile or tablet browsers they will still receive the full experience as each element will resize and reposition to provide the best browsing experience possible. 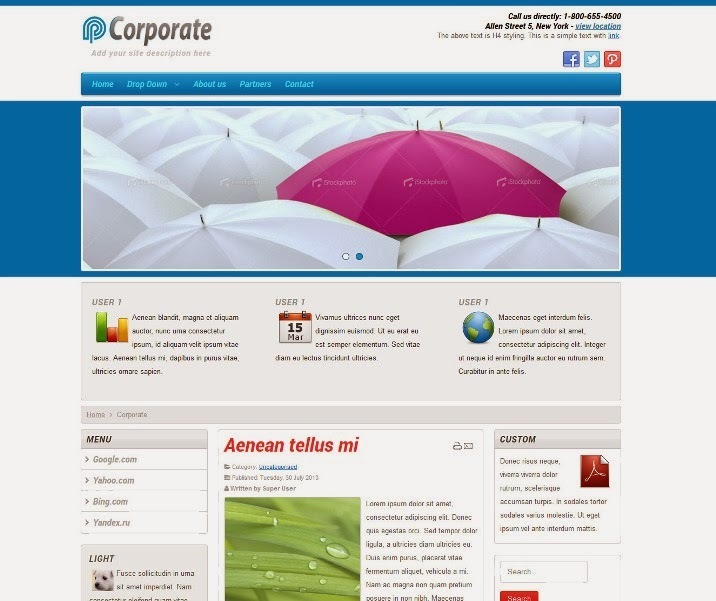 Business Class is a Free Joomla Template. 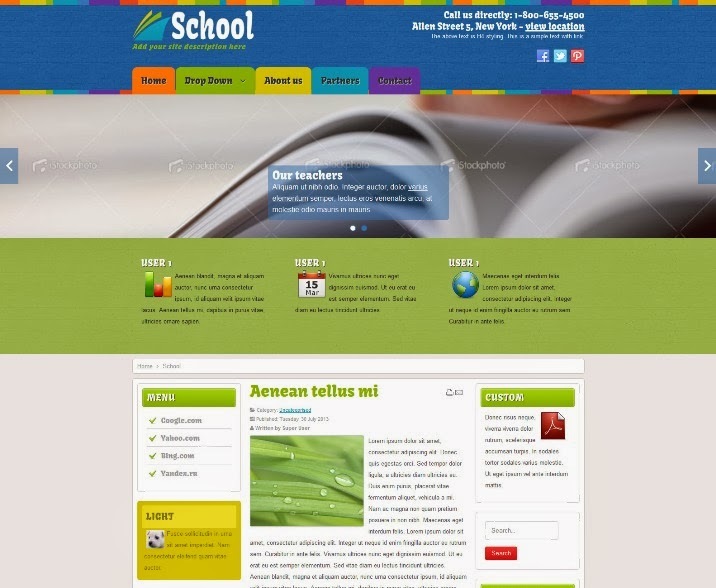 This template to help schools, universities, educational website. This is a very colorful template, but the colors are nicely blending, this give a nice and happy feeling. The main colors are blue and green, mixed with orange, purple and yellow. 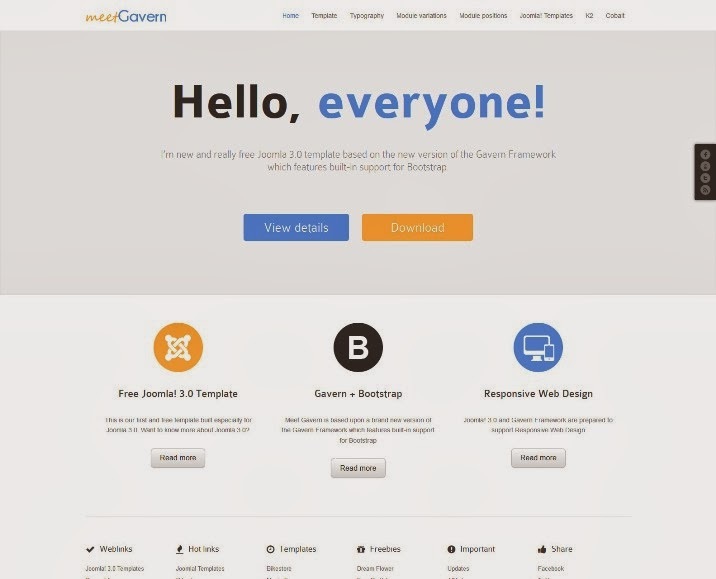 Meet Gavern is a Responsive, bootstrap-based, free Joomla template.Built on a brand-new version of our Gavern Framework, Meet Gavern has several interesting features to help you make a unique website. 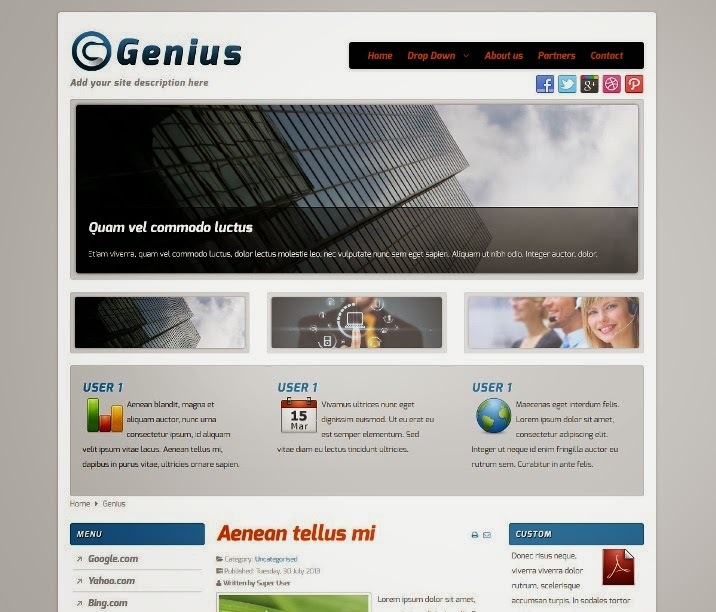 First, and perhaps most important, Meet Gavern features built-in support for Bootstrap, and with responsive web design building a brilliant, free website that is accessible to all users, whether desktop, mobile or tablet. Other Features are advanced typography, cross-browser support and much more. 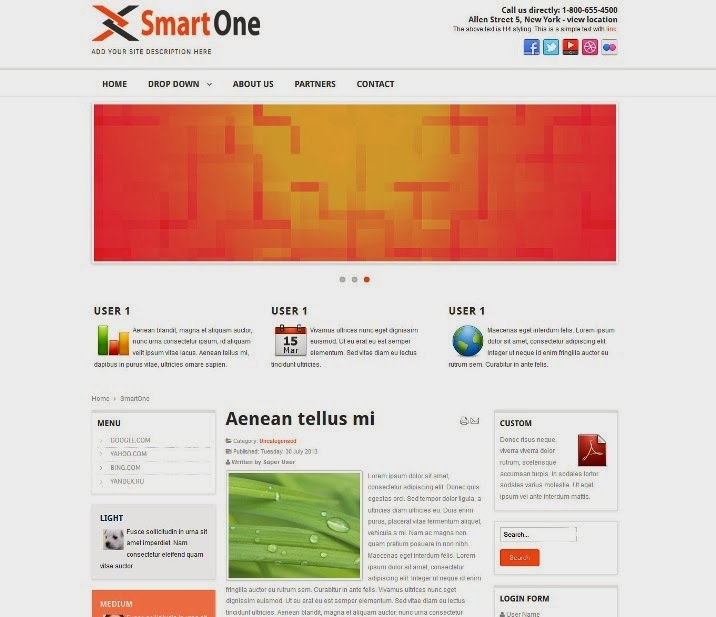 Small Business is a Free Joomla Template for Business. 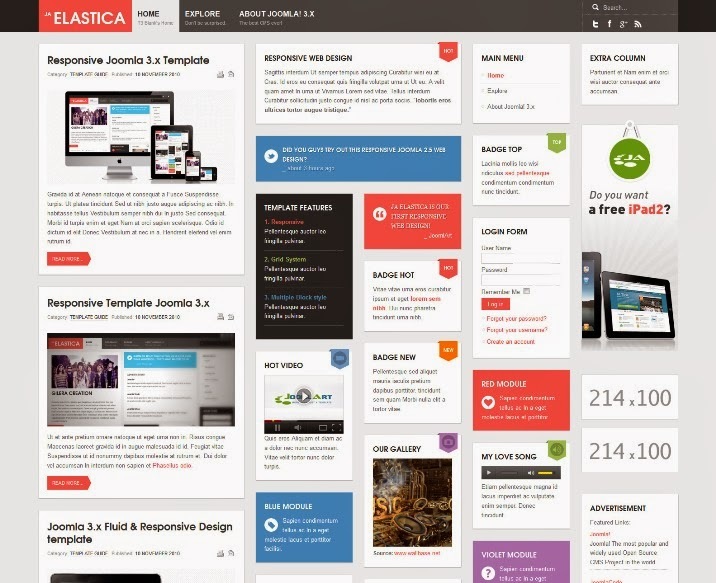 JA Elastica – Joomla first responsive template and is completely free licensed under GNU/GPL V3. JA Elastica adapts and transforms to fit the screen area of the devices, now be it extra wide monitors or be it ipad, iphone or the android powered beauties. Built upon JA’s robust JAT3 2 Framework and jQuery Masonry script, JA Elastica works well and fits well on all the web enabled devices and mobile browsers. 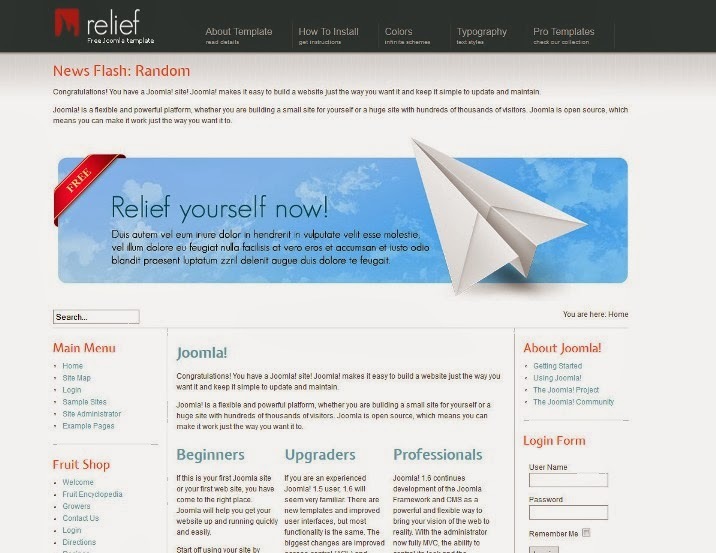 Responsive is a Free Joomla Template. 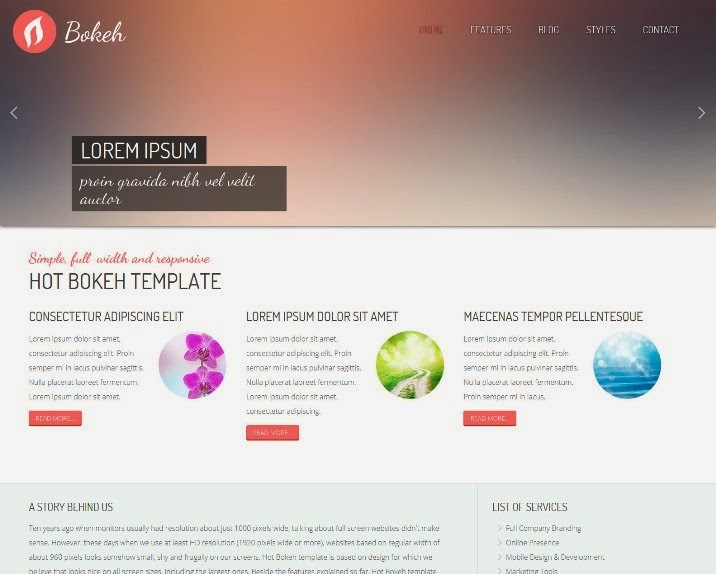 Hot Bokeh is free responsive Joomla template that has variable width and shows content in full screen space on both smallest and largest screen resolutions. 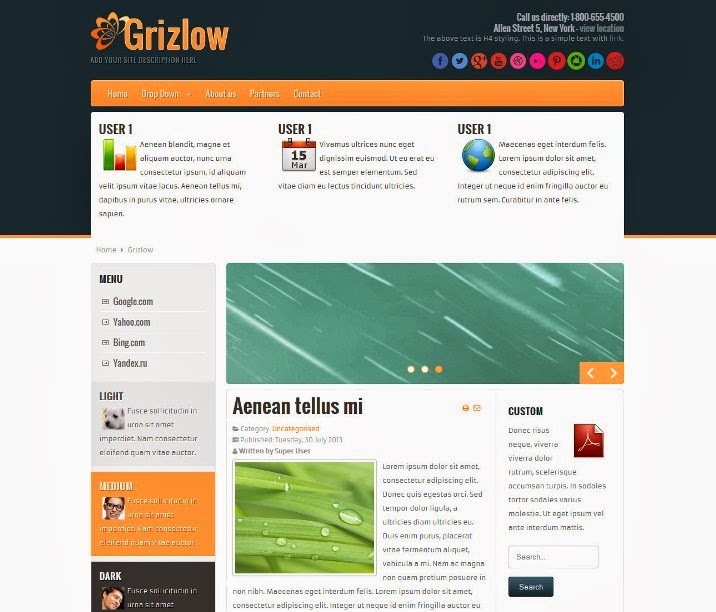 Features are responsive, SEO friendly, Tested with IE8+, Firefox, Chrome, Safari and Opera browsers on PC and Mac computers. Tested on iOS and Android mobile devices. 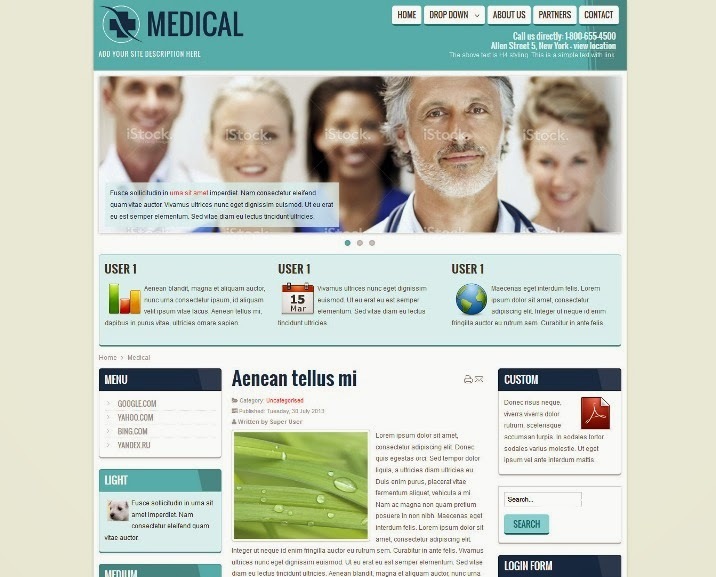 Every business should have a professional website. If you want to build your site with Joomla and need a cool looking, light business theme, you can use this template for free. 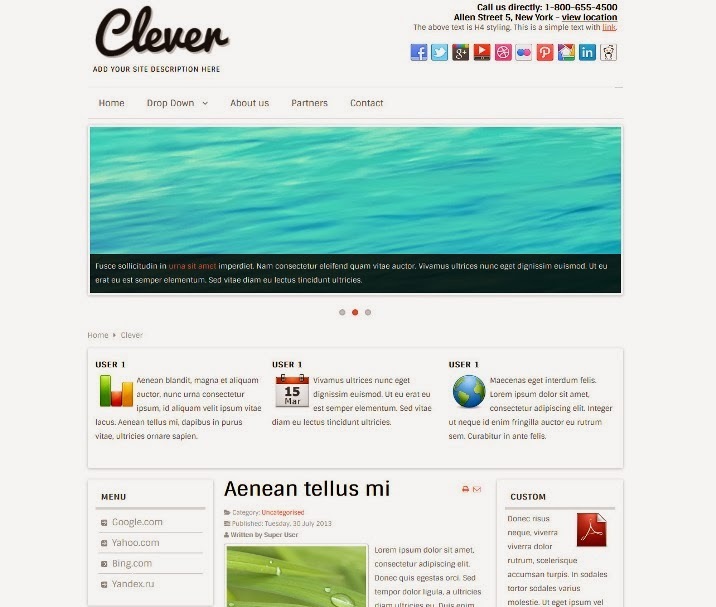 Clever is a simple and elegant Joomla template, suitable for blogs and simple clean websites. 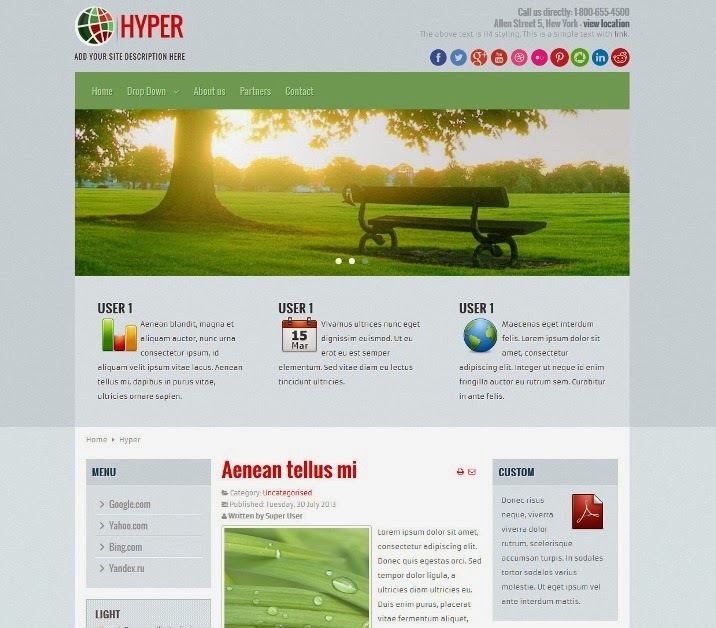 The minimalistic design can be used as it is, or can be modified easily for your preference. More info about template setup can be found on the documentation page. 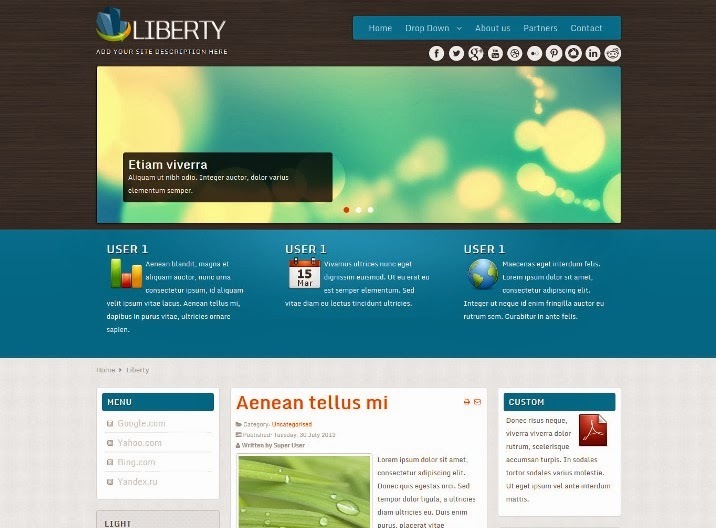 The Vertex Joomla Template is a 100% free GPL licensed template, now with Responsive Layout! 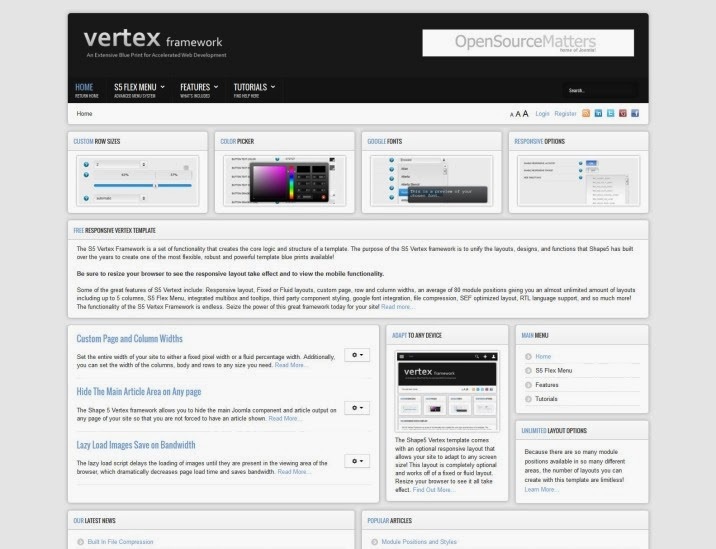 Vertex features for free such as the S5 Flex Menu, 94 module positions, mobile device version, hide the component area on any page, custom row and column widths, RTL language support, and so much more! 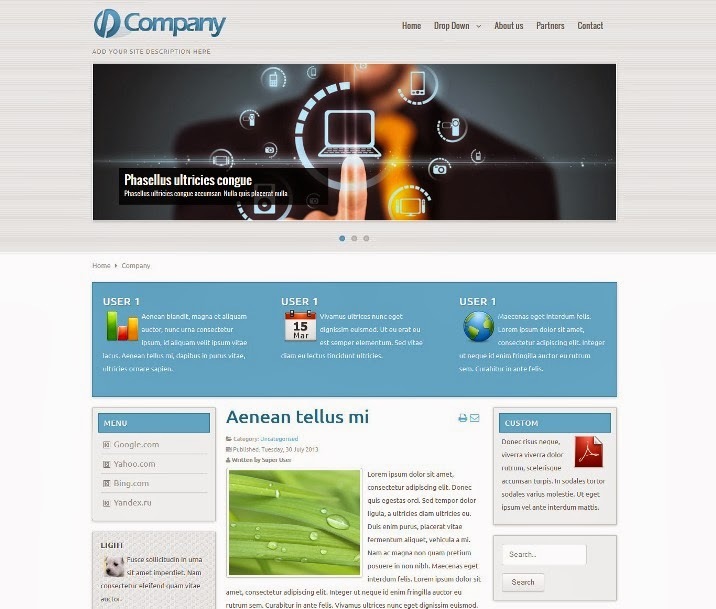 Simple & Slick Business is a Free Joomla Template. 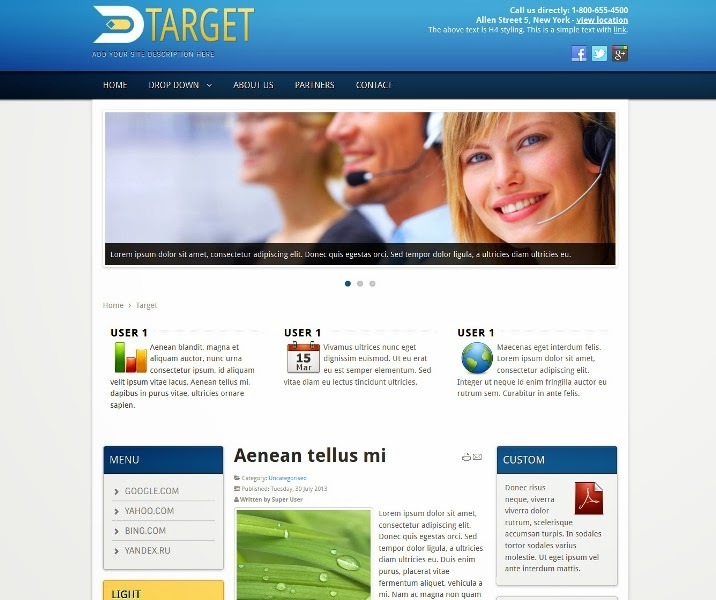 Professional Business is a Free Joomla Template. 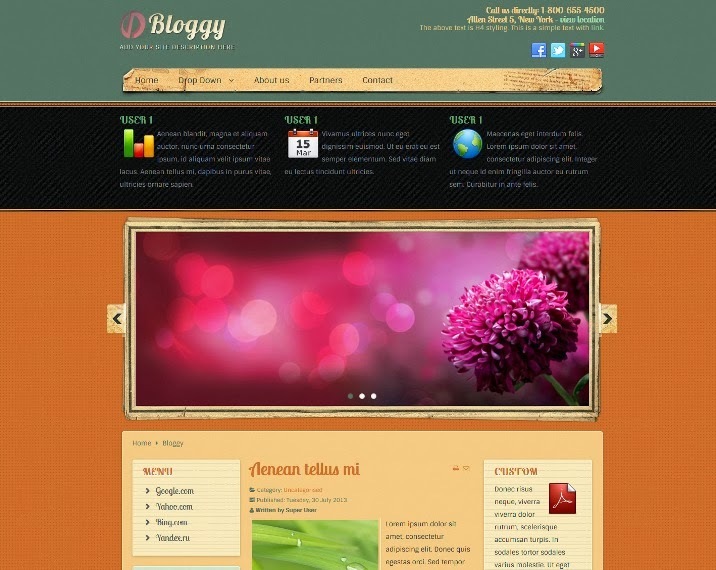 Colorful Blog is a Free Joomla Template.